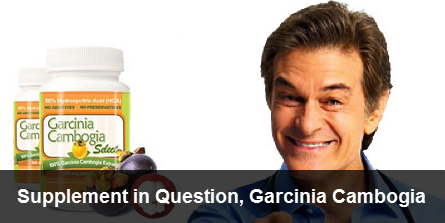 Dr. Oz Diet Pill Scandals Continue – Is Greed Taking Over His Ethics? knowledgeable and always managed to entertain and educate at the same time. In September of 2009, Dr. Oz was given his own show. The first few seasons were highly rated and critically acclaimed but then something changed. The shows stopped being about informative, medical news and changed to something a little more jaded, a little more dubious. To many critics, the Dr. Oz show had morphed into just another infomercial, shilling for the various weight loss pills, powders, drinks and other concoctions under a coating of “science” and talked up by America’s favorite doctor. A 2013 Yelp reviewer even referred to the show as nothing but an endless infomercial after being at a live taping. Things would only get worse for Dr. Oz and the show from there. On June 19th, 2014, Dr. Oz was asked to appear before the Congressional Subcommittee on Consumer Protection, Product Safety and Insurance. The purpose of his appearance was to answer questions about why his show had devolved into an advertising medium for questionable products that he knew lacked scientific backup. Chairperson of the Subcommittee, Senator Claire McCaskill (D) particularly called into question the use of overblown language in regards to green coffee beans and another supplement called garcinia cambogia. In both cases, words used by Oz on his show did not match the reality especially in terms of valid scientific studies. Senator McCaskill also wanted to know why Dr. Oz felt compelled to use words that would give false hope to people who were desperate for a weight loss miracle. The Federal Trade Commission had already taken the sellers of the green coffee beans to task with a lawsuit filed in May of 2014. That suit alleged that the makers of the supplements purposely used deceitful ads that were designed to look like news sites as well as ads that were meant to look like real pages from various health magazines. But, Dr. Oz was still citing weak or disputed scientific studies to tout these products on his show even after it was shown that every study in regard to the green coffee beans was either too small to be considered valid or was short term in duration. For the second product, carcinia cambogia, the science is even more doubtful. In fact, most studies show that it is not at all effective in terms of overall weight loss nor in terms of any of its other claims. Dr. Oz promoted it on his show with a screen saying “no effort, no exercise, no diet” and himself called it a “revolutionary fat buster”. In that same show, he mentioned “brand new scientific research” which he said supported these claims when the latest research does just the opposite. Dr. Oz was evasive in questioning, trying to deflect many of Senator McCaskill’s direct questions. He was openly dismissive of some of the problems of someone with his status shilling potentially unsafe products. And then, finally, he was slightly apologetic and tried to give some excuses for why he used what he called “flowery language” in reference to some of these products. His explanation was that the American public did not want to hear “eat less, move more” to help with weight loss and that they were looking for the easy fix. While that may be true based on the sales of the supplements that line shelves across the nation, some people might have actually taken the words to heart coming from their much beloved and trusted television doctor. Instead, he chose to be a “cheerleader” and allow people to take the easy route. Ads that are meant to look like a news report. Many companies will use these so that they look more legitimate. Ads that tell you that you will not have to diet or count calories or use words like “never starve yourself” “eat everything you want” “don’t change your diet at all”. Ads that tell you that you do not have to exercise or that you have to put in “zero” effort. Ads that tell you that you will lose weight while you sleep. Ads that promise outrageous and unsafe weight loss in extremely short periods of time. For his part, while Dr. Oz certainly knew what he was doing when he talked about these products on his show, there are a number of instances where his likeness and implied endorsement is used without his consent. He has repeated this statement over and over and even tells people to check his website to see if a product is something that he has recommended or okayed before buying anything especially via email or through an internet banner ad. Thanks for your review on this Dr. Oz. I’d long thought him to be a fluffy character. Meaning, a lot of fluff and not a lot of useful stuff. Yeah, most definitely. He is very intelligent, but he has been swayed by the greed in the “commercial” media world that he is involved in. Hopefully he can move back to being much more ethical in his approach to medicine and focus on helping people versus “selling to people”.